Off to Houston, that is! I am thrilled to bits that “Miss Dixie” (14×19) has been accepted in the miniature category. I hope that I can attend this year. I went in 2013 when Princess Daphne was included and I had the very best time. The backstory on Miss Dixie the quilt. 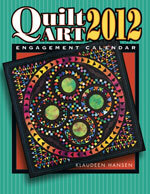 I met Dixie last year when I was invited to teach and give a lecture to the Charleston Quilt Guild. I stayed with a guild member after my lecture and had the privilege of meeting Dixie. She was adopted a couple months earlier and loved her new home and family very much. Dixie had so much personality I had to take a few pics of her. I fell in love with this pic of her and thought I’d try my hand at a doggie portrait! I had so much fun painting her but I must confess the nose and eyes were very difficult. I had to do lots of research but in the end I’m very happy with how it turned out. I think another doggie portrait will be in my future! 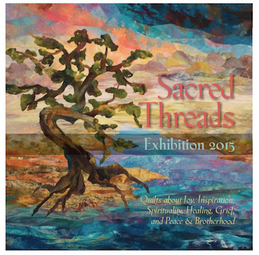 I’m so excited, honored and thrilled to be part of the 2015 Sacred Threads Exhibit. My piece “A Poppy for Mother” was accepted into the show. My quilt, “A Poppy for Mother” is much more than a pretty flower. It contains all the feelings and emotions I was going thru during this time in my life. While I was working on this piece my life was out of control. My days were chaotic. It was only late at night that I found peace, quiet and solitude. For me stitching is meditative and very therapeutic. Stitching really does mend the soul. The process of making this quilt helped me deal with my grief. 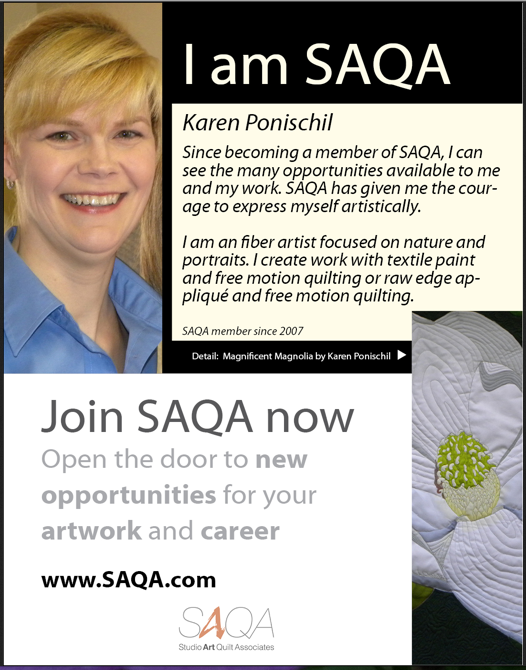 A little bit about the show…..
For the exhibit, quilts are divided into categories based on theme. These are Expressions of Joy, Spirituality, Inspiration, Grief, Healing and Peace/Brotherhood. The artwork themes provide thought-provoking insights, encouragement, inspiration and healing responses to grief and human hardships. It has attracted a wide array of visitors and has proved appropriate for all ages from young teens to seniors. The exhibit is a positive influence on the human spirit, giving joy as well as addressing concerns of the soul and mind. The show does not emphasize any particular religion or theology but conveys the spirituality, healing and inspirational messages that transcend all people. Hope you can take in the show. Below is a link to the travel book. 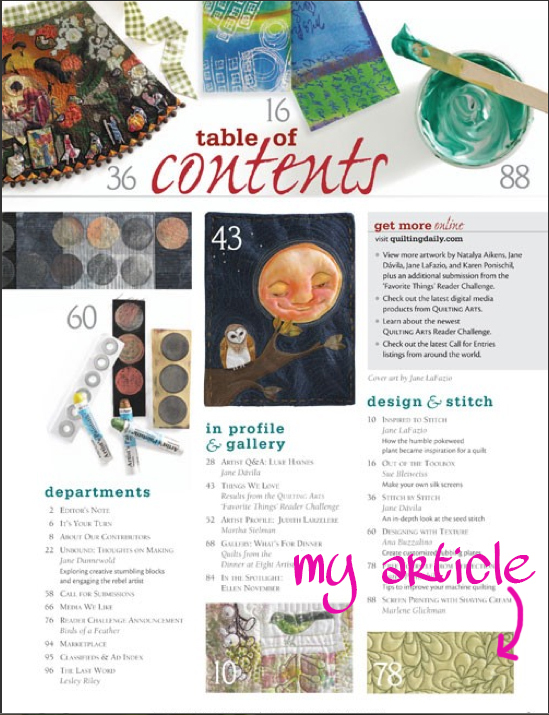 My piece is on page 19. 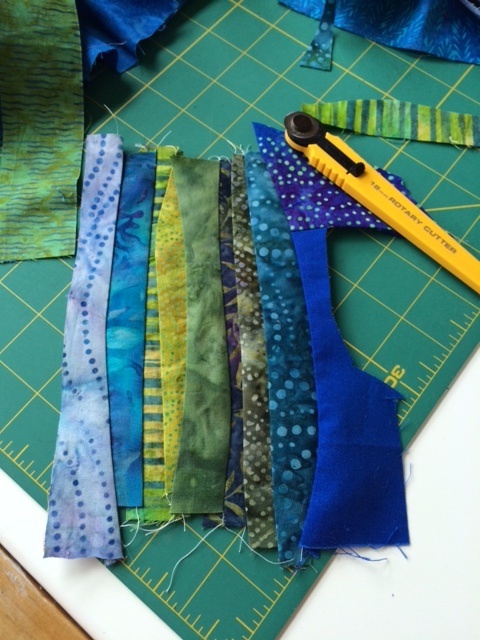 Friday is a great day to do a little scrap Improv Piecing. 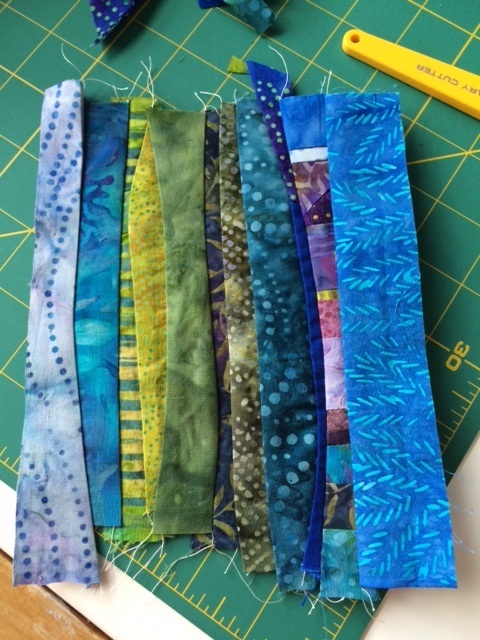 I take my favorite scraps and start stitching! Well, there’s a little bit more to it than that. Here is a green version I did a few weeks ago. So much fun and a great way to use up scraps. 2015 is off to a GREAT start. 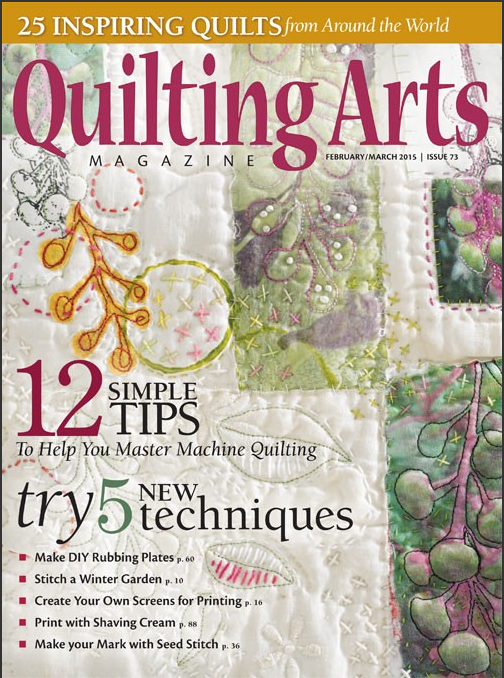 My article “Free Yourself from Perfection: Tips to improve your machine quilting” is in the Feb/March issue of Quilting Arts. 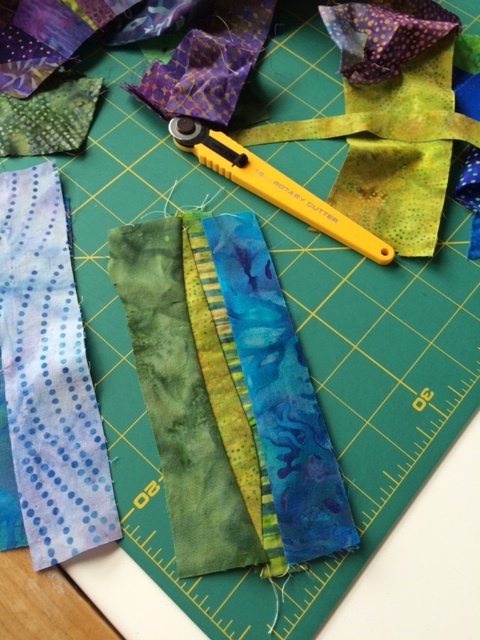 In this article, I talk about how free motion quilting is supposed to be fun and not stressful. But if you are like me, a perfectionist, every stitch can be stressful. 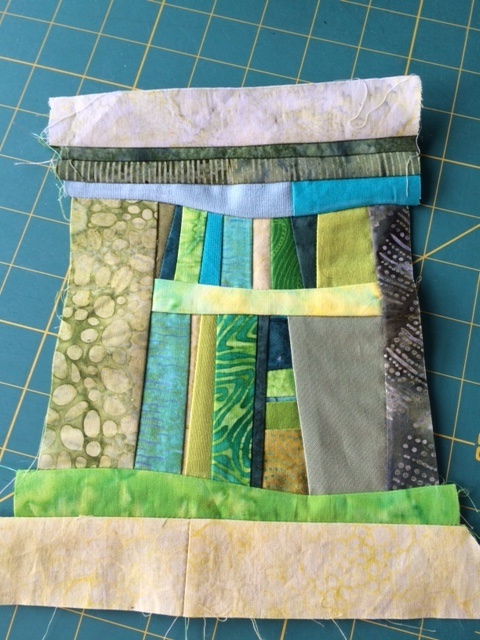 I share tips that helped me over come perfection and enjoy free-motion quilting. I hope you enjoy the article and learn some new tips. This is truly a dream come true for me. I’m so thrilled and excited. I can’t wait to see the hard copy of the magazine. Isn’t the cover art gorgeous! It’s by one of my mixed media/quilting idols Jane LaFazio. Yes, I was born when the Beatles came over (you do the math) and I’m still playing with crayons. Some things never change. I’ve been working on several styles of portraits. 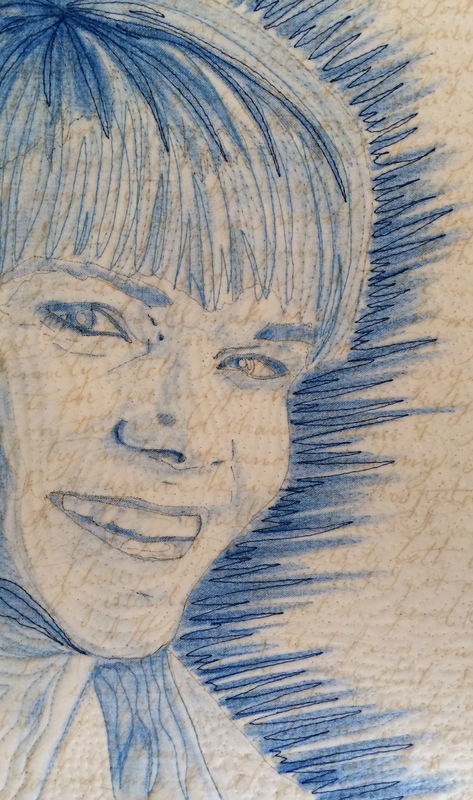 One portrait style with fabric, another with paint and this one with crayon. Yes, these are crayola crayons….no fancy artist crayons here. They are acid free, so they won’t damage fabric. Heat setting with an iron will make them permanent. Be sure to sandwich the image between a paper towel when heat setting. The iron will melt the wax and leave the pigment. I’m pretty happy with the results. There are a few things I would change. Like, begin with the eyes and make sure the crayon is sharp.